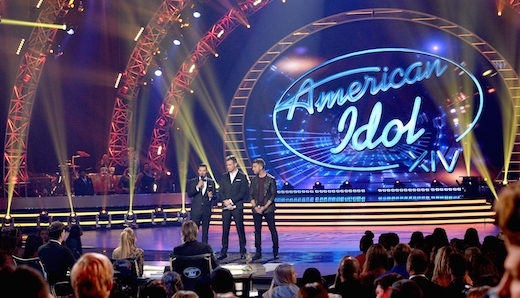 American Idol could be making a grand return after producers reportedly in talks to reboot the axed singing competition – this time on NBC. Imagine, rival shows American Idol and The Voice on the same network? According to Variety who first reported the news, Fremantle Media was planning a revival of the show to NBC. Sources say that one possibility being considered: cutting NBC’s existing singing competition “The Voice” from two seasons a year to just one. The Voice is currently in its seventh year and remains NBC’s most watched singing contest. NBC and Fremantle had no comment on this. Actually, I think American Idol is a better choice than The Voice. At least we actually got some real talent emerged from the show including Kelly Clarkson, Carrie Underwood, Jennifer Hudson and more. Do you think they should reboot American Idol and cut The Voice one season per year? Sound off in the comments!